Are you a fan of pineapple? How about chipotle flavors? If you answered yes to either of those questions, then this cocktail is one that you’ll enjoy sipping on in the near future! This cocktail features some unique ingredients – including baby tomatoes! This helps the bold flavors of some of the other ingredients to be lightened up. To make this drink, you’ll want to gather several ingredients ahead of time, so be sure to take a look at the recipe before you start pouring. The El Gallito can be made with either vodka or tequila to provide variety and satisfy different tastes. 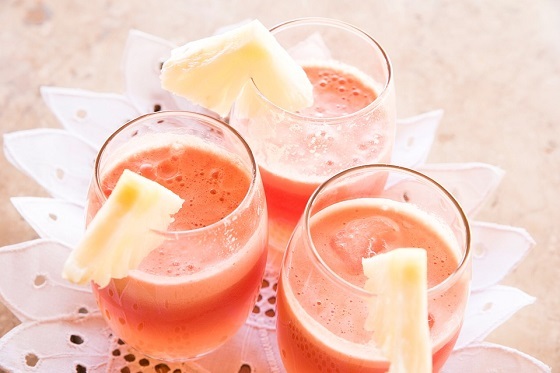 The drink’s strained cherry tomato, pineapple, cilantro, and scallion mixture can be used as a salsa base. The cherry tomatoes help balance out the fruit flavors of the El Gallito, but are subtle enough that it doesn’t feel like a Bloody Mary.